Just started your online business? These DIY SEO tips can help you grow faster. Modern business owners who wish to expand their digital presence need to understand just how crucial SEO really is for a successful strategy. SEO is seen as a viable marketing technique that plays a vital role in landing effective content and bringing your new business qualified leads and customers. In fact, SEO strategies are known for generating a higher ROI (Return on Investment) than most other digital promotion and advertising techniques, as well as old-school marketing in form of TV commercials and print ads. However, it is also important to grasp that SEO alone won’t be able to skyrocket your traffic and turn your small online company into a huge brand overnight. For that to happen you’ll need more than just a good SEO strategy, but it is a start, and a significant one for that matter, as it can provide your business visibility, traffic, credibility, and a much-needed insight into customer behavior. Visibility and Branding – Most people are aware of the fact that quality Search Engine Optimization can boost a website’s visibility and thus increase organic visits. Although increased click-through rates are typically the primary goal of an SEO strategy, higher rankings are also essential for branding and overall improvement of a business’s online credibility. Namely, as long as your website appears as a top result for a specific set of keywords, online consumers become increasingly aware of your brand’s existence, ideas and general story. Therefore, even companies that operate via physical stores and do not directly profit from website visits can improve their business by generating loyal following. – Keyword research. One of the most frequent mistakes novice website owners make when building a website is building their content around randomly chosen keywords. Given that people browse the web in multiple ways, understanding their search intents is essential for an efficient keyword strategy. The starting point here is Google Keyword Planner, which shows you search volumes for specific keywords, as well as how competitive they are. Based on these insights, you should choose ideas with most searches and low competition, and develop your website content around them. – Keyword distribution: content, URLs, tags. Once you’ve chosen the appropriate keywords, you need to distribute them evenly across your website to help search engines understand what your pages are about. A recommended keyword density in the content of a post or page is 2-3%, while keywords in URLs, meta tags and titles additionally improve your chances of being ranked high. – Design and code. In addition to content, your website’s overall design can affect how Google’s robots access your website. This is why clean code, well-structured URLs and clear layout are key to winning Google over. – Off-site optimization. According to Moz’s Search Engine Ranking Factors 2015, backlinks are still one of the most important metrics Google uses to assess the relevancy of your website. This means that on-site optimization is only a part of the whole SEO story and that equal focus should be put on link building practices. – Customer insight. To ensure the highest possible visibility for your website and improve customer experience, you need to keep monitoring your visitors’ behavior using tools such as Google Analytics. This tool provides crucial data and metrics which you can use to get all the info you need on your customers: what they search, how, which keywords they use, how they browse, the language they use, which devices they use when they search, what their location is, when they are most active, and so on. This info is pure gold for successful SEO. Add the city or state you operate in, to the title tag. Including the local signal in the title tag provides relevant information for search engines and helps them recognize local relevancy. Include the local entry in H1 headings. H1 headings are easily readable by search engines and can further help you increase rankings for local searches. 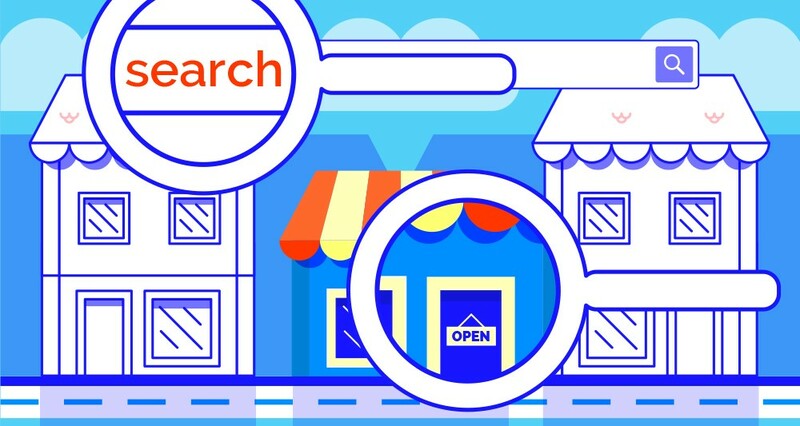 Distribute local keywords across the content of your pages. Include city or state in your alt text on images to improve organic visits from image search. Structure your URLs properly. The overall structure of your URLs is one of the critical factors for Google when determining your website’s relevancy for specific keywords. Whenever you have the ability to add a local entry (city or state) to a page URL, make sure you do so. Small companies are always wondering if there is a successful SEO strategy that works like a charm, but the bottom line is that SEO alone won’t be able to do you any good if your product is mediocre. The days of rankings manipulation are long gone, you need to get relevant and trusted first, popularity comes second. It’s all about adding relevant and quality content to your website. Once this is done, user satisfaction will come gradually and your brand will become popular and trustworthy. Make sure you also invest time, money and effort into your website and online marketing as well. Google wants to rank quality products in its results, you need to provide one.